Stephanie and her husband founded Proximity Capital Partners to search for small businesses to buy and operate. They focus on established businesses with high growth potential and solid earnings, where they can add value through their expertise in sales, marketing, and building high performing teams. Stephanie has significant experience in sales, strategy, and management in high-growth organizations. She generated $500M of revenue for two national education organizations, New Leaders and Teach For America; grew Teach For America’s revenue 4x; increased New Leaders’ customers 3x; and built high-performing, 20+ person sales and marketing teams to achieve this growth. Before that, Stephanie helped women in Chicago start small businesses. 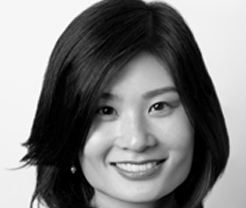 Stephanie began her career at McKinsey & Company, advising clients in financial services and retail.